The air is full of mourning and crying. The hearts of Christians are bereft; another tribulation of Christendom defiles God’s acre on the Seine. 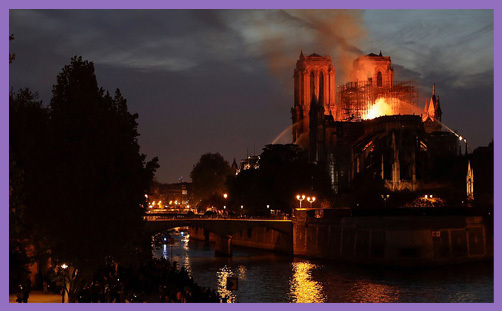 They sang ancient Elysian hymns as Notre Dame de Paris opened a portal to the fires of hell, its sacred relics reduced to ash and silent dust; celestial benedictions drowned out by an ocean of grief and screaming flames. Our Father’s mansion, Our Lady’s seclusion, raped by smoke and consumed by pollution. When the hours of a thousand years fade into darkness and decay, we are left with a soulless shell, a vacant chair and a voiceless prayer. The glory is departed, the blessing ended, the angels are all gone. Is it the destiny of secular France to put Mary back in heaven, having ushered her out, torn her soul and rent her breast? Is it the destiny of profane cynics to remember sacred hours, or of the arid enlightenment to reforge from acrid vapours the hallowed glow of blessedness? Notre Dame de Paris was not a work of stained-glass heritage or Gothic gargoyle culture, but a living, breathing monument to the glory of God. 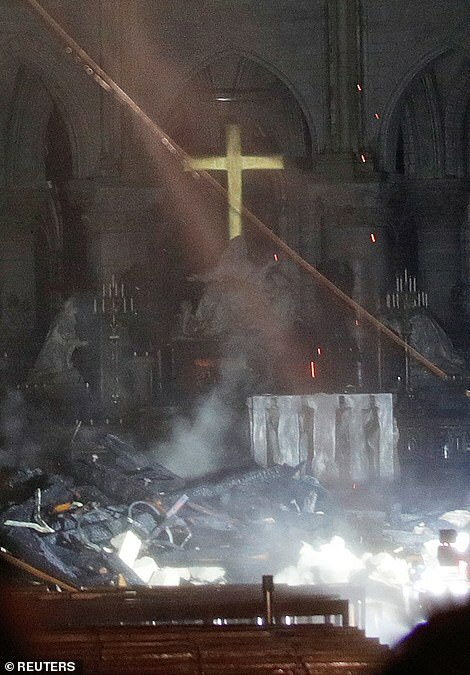 Secular France incinerated its sacred spirit centuries ago when it erected its altars to the cult of Liberté. What need the embrace of Our Lady’s sacrificing when Europa’s bed is warm and enticing? May the Refiner’s Fire burn in judgment, cleanse the temple and purge our sin: today is repentance; tomorrow is resurrection.